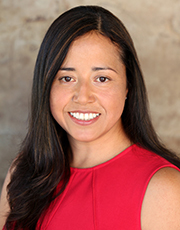 Lilia joined the Foundation in 2014 with fourteen years of prior nonprofit experience in administration and accounting having worked at LA’s BEST After School Enrichment Program and Families in Schools. Lilia also worked as a staff auditor for Quezada & Company. She received her bachelor’s degree in business administration from California State University, Dominguez Hills.